by John Huyer P.E., Contract Administration Engineer, FHWA Office of Infrastructure; Dale Peabody P.E., Director of Transportation Research, Maine DOT. 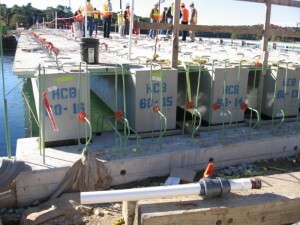 Description: Incorporating innovations into bridge projects leads to more successful projects that meet the need for better and longer performance. Proprietary products are innovations that can improve bridge performance, but what about the need for competition and the need for bridge owners to ensure they use public funds most effectively? This presentation described FHWA’s current policy on proprietary products and also discussed available FHWA, AASHTO, and State DOT databases that house approved and/or certified proprietary product information. 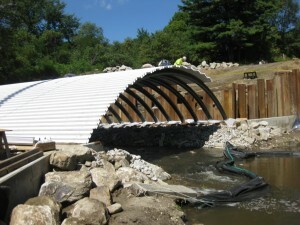 The Maine DOT then discussed why their Department is promoting the use of proprietary bridge products in their projects, and how Maine is incorporating those products into their ABC and other bridge projects.